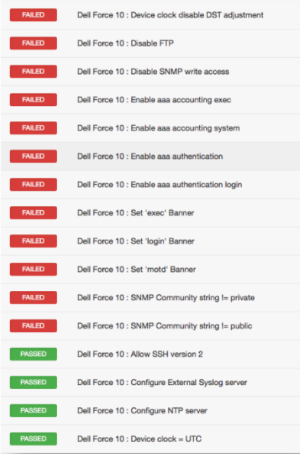 The Dell Force10 (FTOS) devices comprise a wide range of high-capacity switches. This audit includes checks for password policy, enabled services, lockout policy, insecure service configurations, authentication related settings, SNMP & NTP configuration, as well as logging and audit settings. 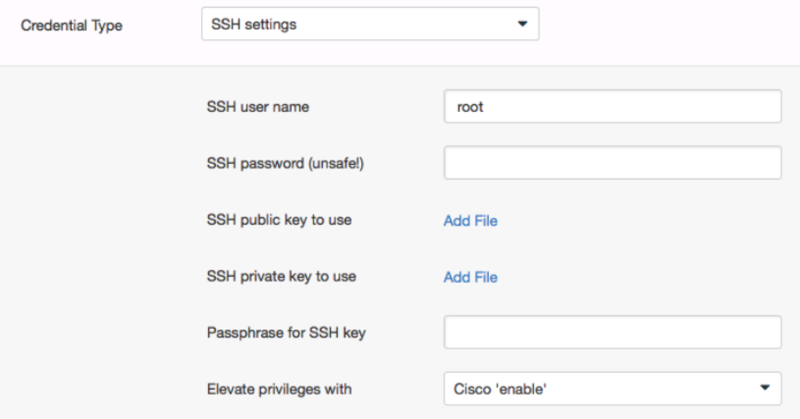 Valid SSH credentials for root or an administrator with full privileges are required. The device configuration is only accessible via the “enable” mode. 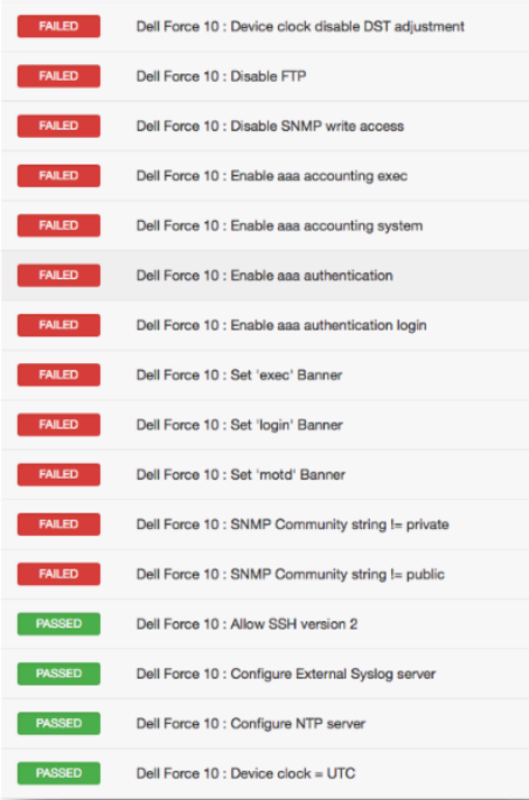 In the preferences there is only one “enable” option, which is tied to “cisco enable”. This plugin essentially piggy backs on that preference to set the enable password. 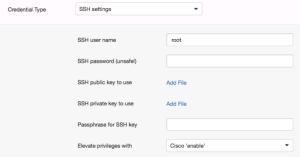 As such, users should use the “cisco enable” option to save the enable password.